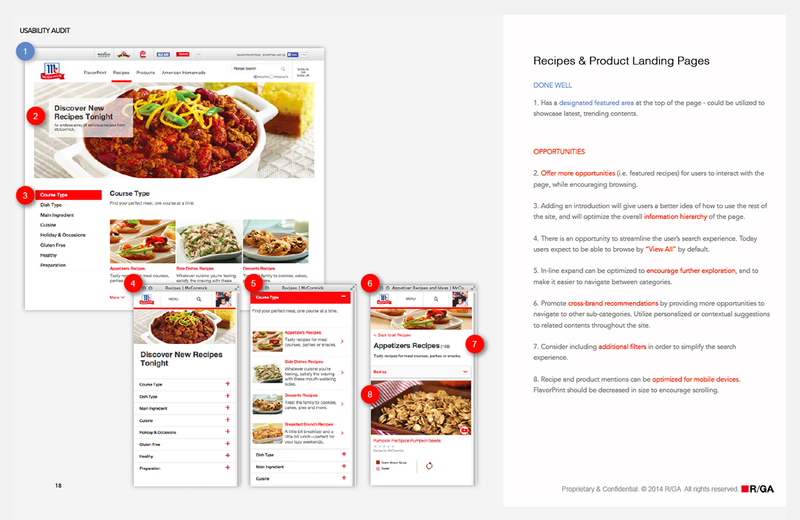 Keep users engaged by creating a more fluid browsing experience; Develop a flexible system for recipe and product pages in order to provide opportunities for new content and categories. By analyzing site traffic, business requirements, industry best practices, and the existing site’s structure and content, we identified several critical areas for improvement to more effectively serve the needs and goals of McCormick customers. 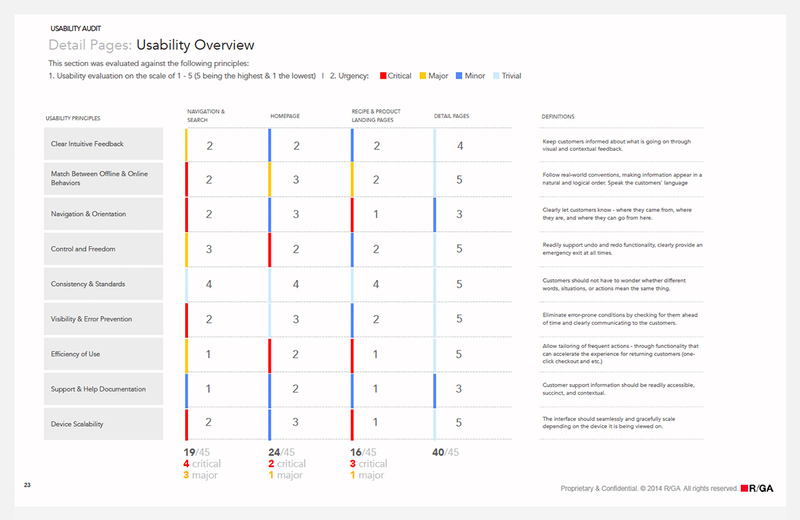 We produced a comprehensive site audit, evaluating various sections of the site against 9 common usability principles and determining the urgency of each recommendation on a scale from critical to trivial. 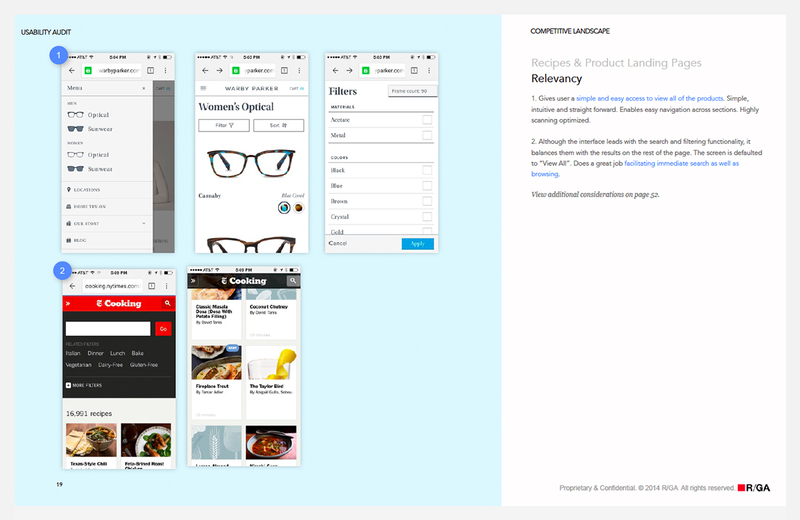 Over the course of several months, we worked to redesign the existing website experience piece by piece, starting with the navigation and concluding with the recipe and product pages. Through close collaboration with the client, we restructured the navigation to prioritize the items with which users most commonly interacted (determined through data analytics). 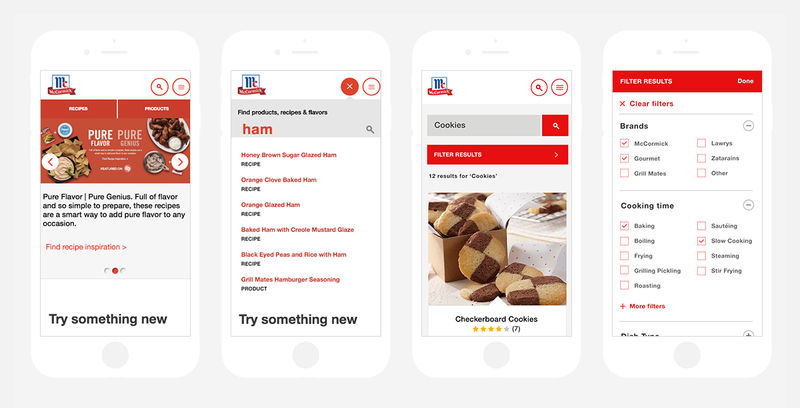 We worked to improve the search experience, implementing a single, predictive search experience across McCormick’s various platforms and making it easier for consumers to find the recipes that meet their dietary restrictions and preferences. 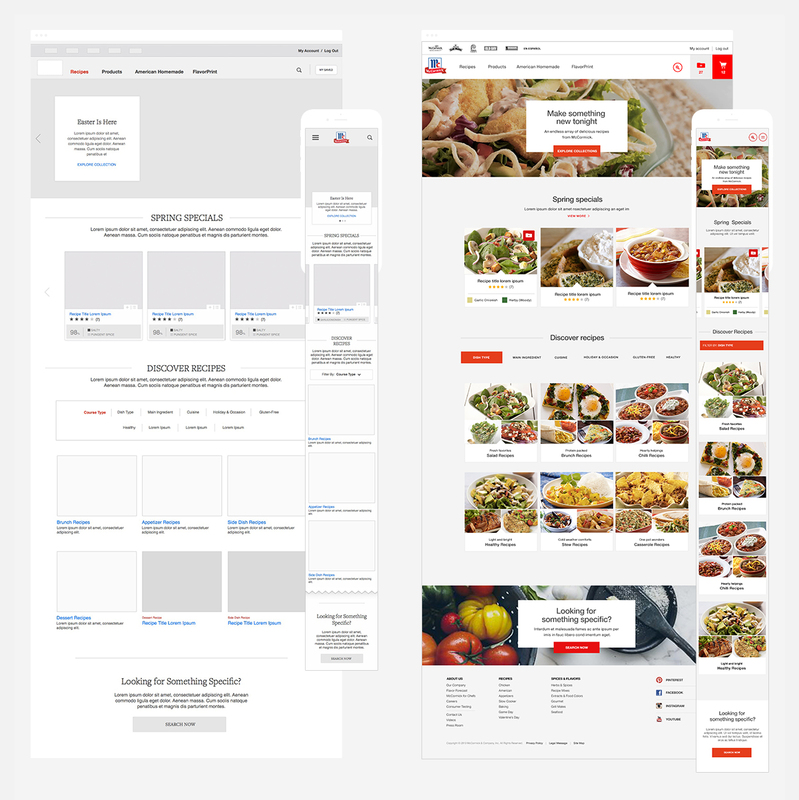 Through several iterations, we designed the recipe and product landing pages. While it was important to allow for easy access to common recipe categories, such as gluten-free recipes and chicken recipes, it was equally important to facilitate content discovery by enabling rich and contextual browsing.